Safety – Lutz Roofing Co., Inc. Protecting our employees is the most important goal of our company. Falls are one of the biggest causes of workplace fatalities and commercial roofing is one of the most hazardous occupations in America. Beyond the human effects of witnessing a serious jobsite injury, many of our clients do not realize that it is common for the building owner to be brought into third-party litigation when an injury or fatality occurs on their property. • Determine what the companies Experience Modification Factor is. The Experience Mod is the numerical calculation which the workers compensation carrier has assigned to the contractor. It is state-regulated and is based on the quantity and cost associated with on-the-job accidents. An Experience Mod near 0.5 is generally the lowest in the construction industry. An Experience Mod over 1.0 is problematic. Lutz Roofing has an Experience Modification factor of .59 and we commonly exceed the requirements of MIOSHA on projects which have an inherent danger. 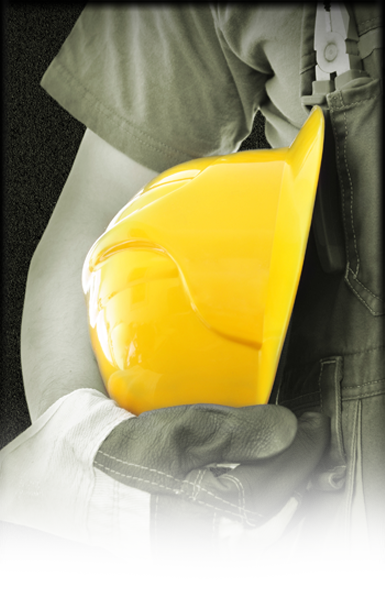 We also utilize state-of–the-art safety equipment and our employees are well-trained in the use of these devices. Our goal is very simple and we plan to keep it that way; we want our employees to return home to their families safely, every evening!